→Enjoy silky-smooth results with the Panasonic ES2207P ladies 3-blade shaver. Featuring wet/dry womens electric razor operation, you can shave dry when pressed for time or enjoy a more luxurious shave and trim with your favorite foam or gel in the tub or shower. Hypoallergenic womens razor blades keep sensitive skin safe and comfortable while a pop-up trimmer lets you quickly trim longer hairs or along the bikini line. →And, the three blade system of the ES2207 razor for women floats to follow and stay in contact with the individual contours of your body, so you will get a close, comfortable shave that captures even short or stray hairs. →It also uses hypo-allergenic stainless steel blades and foils for sensitive skin. This shaver is fully immersible in water for shaving with lather in the shower or tub. You can also try it dry for a quick shave on the go. When you're done shaving, simply rinse clean under water. 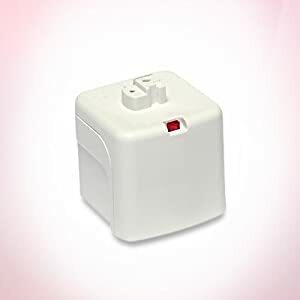 The Panasonic electric ladies shaver is fully immersible for shaving legs and underarms and bikini trimming in the bath with lather or for a quick dry shave or bikini hair removal anytime, anywhere. Three independently floating heads for clean, smooth shaving and trimming. 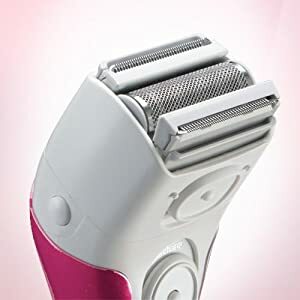 This ladies electric shaver is designed to glide naturally along the body's individual contours for smooth results on legs, underarms and bikini lines. 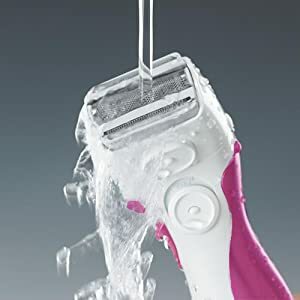 For the perfect finish, this electric personal shaver for women includes a handy pop-up trimmer for using as a bikini trimmer to create a clean bikini line and quickly remove unwanted long or stray hairs anywhere you find them. 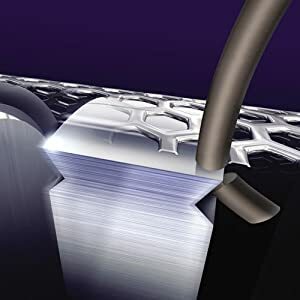 Sharp, durable, hypoallergenic electric razor blades and flexible, protective foil covers are designed especially to prevent irritation, even on sensitive skin. So, legs and body are smooth and irritation-free. The Panasonic es2207p ladies 3-blade shaver includes a convenient AC charger that saves valuable bathroom counter space by plugging directly into an electrical outlet while using the shaver to shave and trim. A cleaning brush and travel pouch are also included to complete your personal shaver kit.